I believe anybody can be a composer or songwriter, and the added ability to express emotion helps make living in this crazy world a little better. You don’t have to write anything anybody else will hear. Think of composing like writing a journal. You’re not going to show that to anybody. Why would you? It’s too personal. Composing is a process, not a product, and that process will further your musical ability. Composing the music and lyrics for songs is one of the ways singer-songwriter Erin McKeown got her chops. During her high school years she began spending a lot of time with her 4-track recorder, making songs. If you’ve written a song before, you know there is a lot of trial-and-error, a lot of repetition, a lot of assessment. But it doesn’t feel like “normal” practice because it’s fun and engaging. I love seeing how creators create, whether it’s authors, songwriters, composers, visual artists, whoever. There’s a new way to gain some insight into songwriters’ process over at the Song Exploder podcast. Pretty cool resource. 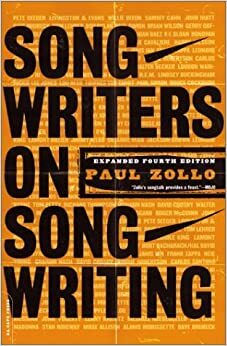 Read Songwriters on Songwriting for even more good insights. If you’re a teacher, you need Maud Hickey’s excellent book on teaching composition, Music Outside the Lines. Whether it’s writing a short melody, creating a song, or composing a motet, give composition a try. Engaged practice is the best practice.